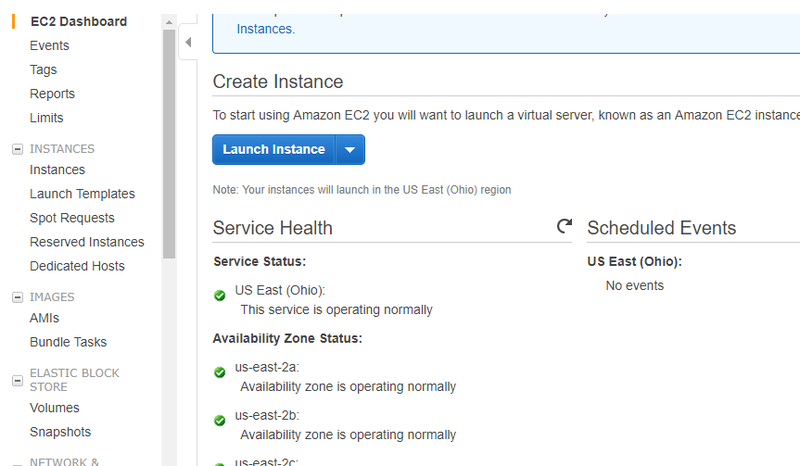 Login to AWS Management console, and click on EC2 under Compute. Click on “Launch Instance” button. Now it’s a seven stage process to create a new EC2 instance. Click on next for all the steps and let it choose the default settings. 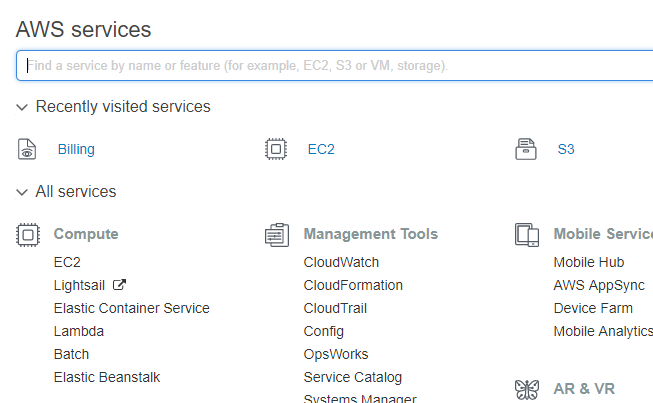 At last a new instance of EC2 will be available in your Management console. A popup will guide you connect to this instance. Download the RDP file and to provide the password for login to server, click on “Get Password” and select the “.pem” file for your account. Then decrypt the password to view the Admin login password. 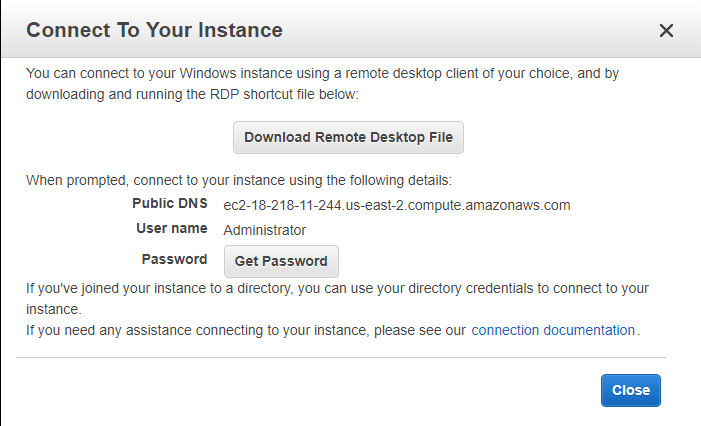 Provide the generated password to RDP file, and you will all be set to login to EC2 instance. 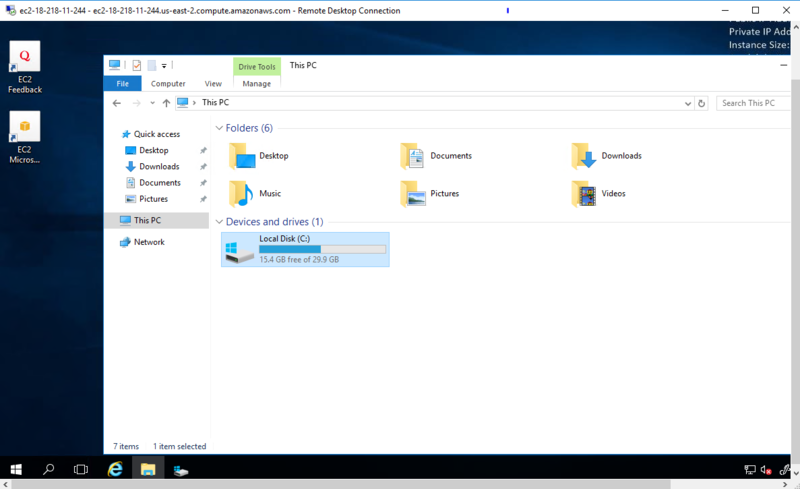 I have selected a windows server 2016 instance and here’s how you will be seeing the instance. As part of Free subscription, by default you will be granted with 30GB free SSD storage. All is yours now, be cautious on usage, as your credit card is linked with AWS profile. The most successful users of Amazon Web Services (AWS) don’t use it like traditional infrastructure offered on a pay-as-you-go basis. Instead, they study AWS and then think about how they can use its services and characteristics to design new offerings that were impossible with traditional infrastructure. Design an application that supports enormous numbers of users. The effectively unlimited scale of resources that AWS provides makes it possible, for the first time in the history of computing, to build applications that can support unlimited user populations. This enables applications like Pinterest to start and scale; what can scale do for you? Participate in “The Internet of Things.” One way of saying it is “software is eating the world.” Another is that everything is becoming a computing device — your watch, your car, your front door lock. The “IoT,” as it’s known, will generate huge amounts of data and network traffic. Use AWS to create an application that delivers a new service or analyzes existing ones. Combine a number of services into a new application. Every application and service is now becoming API-enabled, making it easy to aggregate existing services into a new application. Combine a weather service and a personal health service to enable people to calculate how much Vitamin D3 they’re going to get today. Use AWS to host your application, secure in the knowledge that it can support you whether your application traffic is tiny or huge. Integrate AWS services into your application to make it more powerful. You can use Simple Email Service (SES) to notify users of an important event. You can use Elastic Transcoder to enable user video uploads to make your application functionality richer. There are tons of AWS products to choose from — use as many as you can. AWS cannot make your legacy application “cloud-based.” Legacy applications have typically been designed for stable loads with static hardware infrastructure. They will probably work in AWS, but they won’t magically become cloud applications. AWS can support highly scalable applications. Think of AWS as offering infinite capacity. All those applications you had trouble with because they outgrew predicted user load, storage use, or network traffic? No problem anymore with AWS. Amazon provides the resource, you provide the application load. AWS cannot make your application failure-proof. Amazon designed AWS based on the notion that “everything fails all the time.” While AWS is designed to be highly resilient to resource failure, that doesn’t mean your application can’t fail — it just means that you have the ability to make your application more robust, if you leverage AWS application design principles. AWS can make it cost less to run your application. Because Amazon provides AWS on a usage-based cost, if you design your application to follow the “down and off” principle of using only what you need and then skedaddling, you can typically save a lot of money compared to the traditional model of resource cost, where you pay up front for resources. AWS cannot make your application secure for you. In cloud computing environments, security is a shared responsibility. Amazon takes on security responsibility for what it provides — the computing environment — while you take on security responsibility for what you provide — application software components. If you don’t do a good job managing your application’s security, there’s nothing Amazon can do to make it secure.